My passion and love for running and community continues to grow! I really enjoy racing for it encourages my Self-Realization. For me, races aren’t about competition, time or winning. They are about meeting new friends and deepening existing friendships, pushing my limits, breaking my boundaries, being inspired by others and doing what I love to do. Racing is an exploration of my Self and this place we call home, Earth. I am so grateful to the wonderful family of running friends I have and being able to run. I recently ran Bozeman’s Run to the Pub Half-Marathon and didn’t have any goals other than to have push my boundaries and have fun. And did I ever! I had such a great time chatting with other runners, checking out goofy costumes, cheering runners on and enjoying a beautiful day! I do have to admit, I was surprised at how fast I ran and how effortless it was. The past five months I have run an average of 2-3 days a week. By far, most of it at a 8-12 minute/mile pace with 1 day of speedwork in 5 months. But somehow during the race, I ran over 13 miles at almost sub-6 minute pace finishing at 1:19:54. I keep asking, “how is that possible?”. I believe it is a result of my very efficient technique, relaxed mental state and overall health from eating well and practicing yoga. Chi Running continues to amaze me! 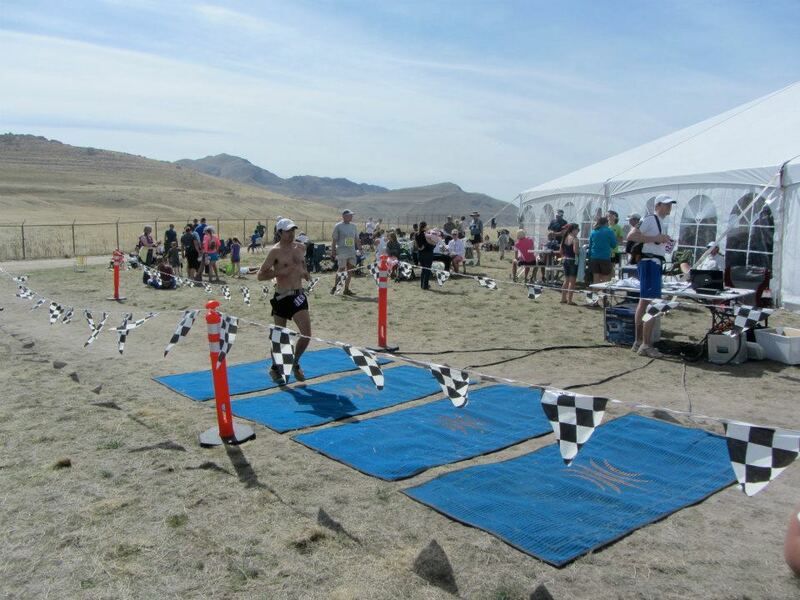 Six days later I ran the Buffalo Run 50K on Antelope Island. This gorgeous island is on the Great Salt Lake and has unique geology, plants and bison on it. Not to mention being surrounded by water and magnificent, towering mountains all around. My goals for this race were to have fun and again, push my limits. I went into the race feeling ill prepared and under trained. Running 20-35 miles a week for 5 months is not great preparation for a 50K. But I relied on my efficient technique, mental strength and health to guide me along. I continued to push my limits and relax even more. I found this deep place of peace and freedom. After the second aid station, I proceeded to get lost once again but this time for real. I took a wrong turn and ran up a ridge to find myself looking hundreds of feet down to the correct trail below. I stopped to assess the situation, breath and prepare for the adrenaline and joy of bombing down the mountain. I finally got back on track, losing about 5 or 8 minutes in the meantime. I passed a few runners for a second time, each of them asking “what happened?”. My response, “I was in the zone!”. My poor excuse for not paying attention. I continued to push the pace, running as fast as I could while relaxing. I’m amazed at how effective this can be. I began to have pretty severe stomach and digestion issues. After mile 20, I wasn’t able to consume any calories or liquids. This can have devastating consequences, especially considering the heat of the day. 75 and sunny, which for a Montanan in March feels like an oven. I was able to sneak a couple Hammer Gels and luckily Endurolytes saved the day which prevented me from cramping. I ended up finishing with a smile on my face and the lack of ability to walk straight because of severe low blood sugar and dehydration. I asked the EMT’s to keep an eye on me so I didn’t pass out or get lost once again. A little Mountain Dew fixed everything within minutes. Totally gross but I was so out of it that it tasted like heaven in my mouth. My second lap split was about exactly the same as my first lap, I actually sped up the second half since I got lost. I was very happy about this and how well I ran. I finished in 4 hours and 21 minutes for 4th place. Not bad for a Montanan in March with very little training. Chi Running continues to amaze me! So really, what do I love about racing? It’s the community, support and love that abounds at races. Especially at ultramarathons. Egos are checked at the door and we are grateful for doing what we love. 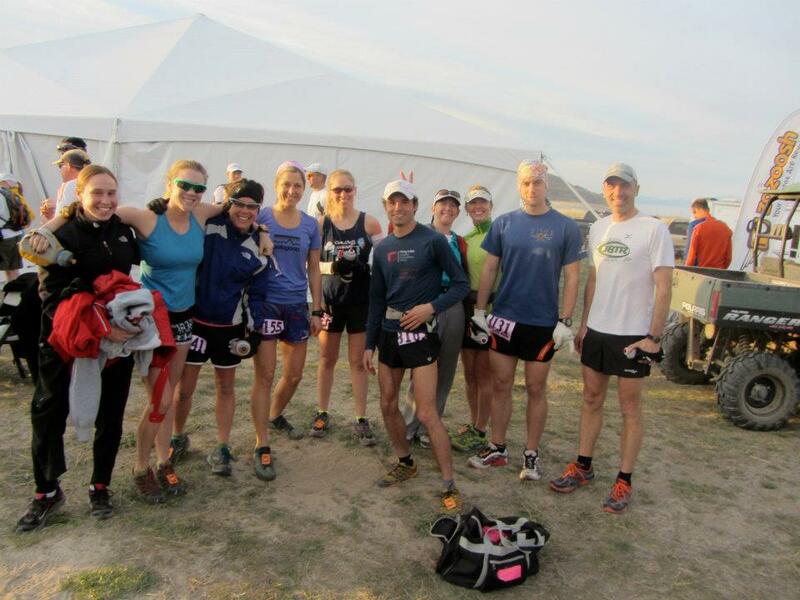 I suggest volunteering at or running an ultramarathon and I guarantee you will be inspired. Over and over again actually! I’ve run quite a few and continue to be amazed and inspired by the stories of others and seeing others overcome personal struggles, pain and mental boundaries. I look forward to my next race, whatever it may be. Would you like running to be easier and more enjoyable? Why a Focus on Running Form? This entry was posted in online running coach and tagged Bozeman, chi running, Damian Stoy, fast, method, natural, pose, race, Running, technique by Wholistic Running. Bookmark the permalink.